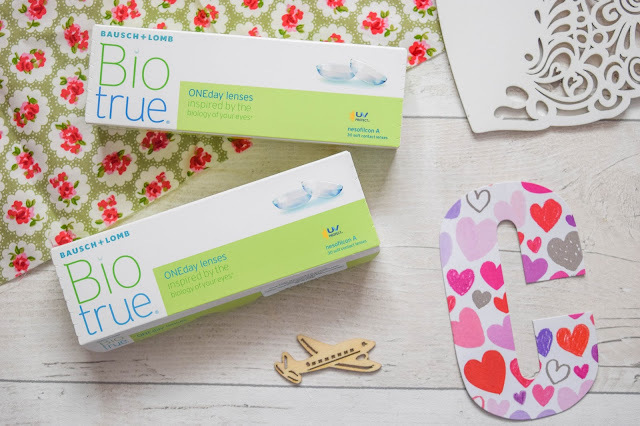 WHY BIOTRUE AND WHY DAILY LENSES? 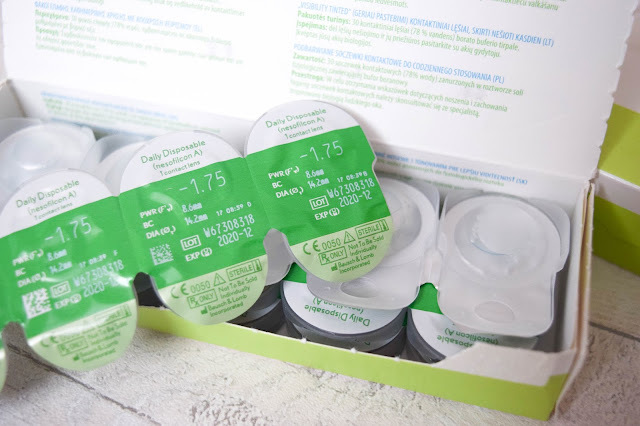 So these lenses are available on lentiamo.co.uk and what really made me want to try these more than any other on the website was not just by recommendation but also by the fact that these are supposed to prevent dehydration as well as being comfortable to wear. On a regular basis I use monthly lenses and I'm happy with this at the moment. It suits my current financial situation and I am used to looking after my lenses and putting them back ensuring they're clean and ready to use the next day. I know it's a chore for some people but this doesn't bother me. 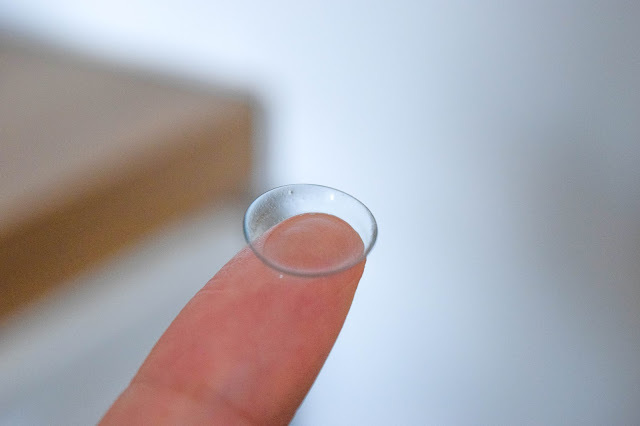 But I've always seen the benefits of daily lenses; you don't have to clean them and put them away at the end of the day an they're clear and fresh everyday but I also don't like having to throw away all the little packages every time I use them. So, I have to buy two packs of lenses since I have a different prescription for each eye. 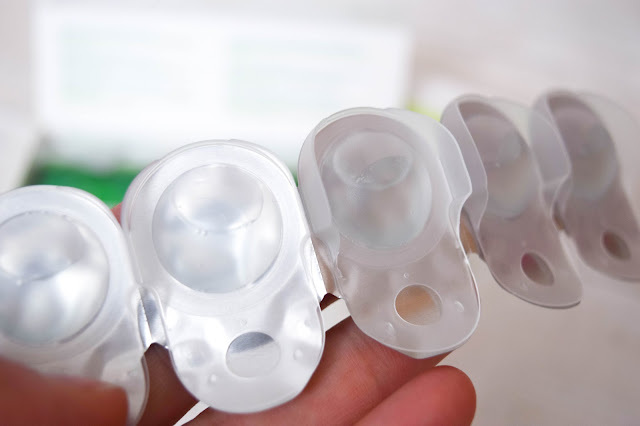 The lenses come in these little capsules with solution inside to keep them protected and hydrated. There are 30 in each pack so they should last you a whole month if you're using them every single day, which isn't recommended. I suggest and professionals would suggest only wearing them 4-5 days of the week which is what I tend to do. 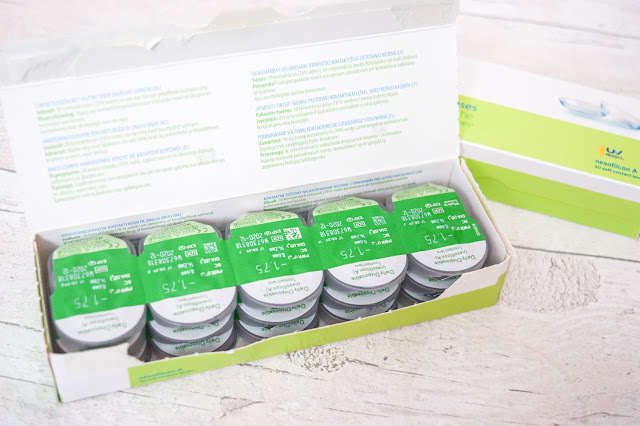 It ensures you give your eyes a rest and that you don't dehydrate your eyes. These lenses were really easy to insert into my eyes. They went in easy just as most lenses do and I didn't have a problem with them at all. They were soft to the touch so I was rooting for them to be as comfortable as they claimed. Instantly I felt how comfortable they were going to be. I couldn't feel them in and I had to check I hadn't dropped it! First impressions were good and my vision was perfect. I can't lie, it's really been a joy using them daily. 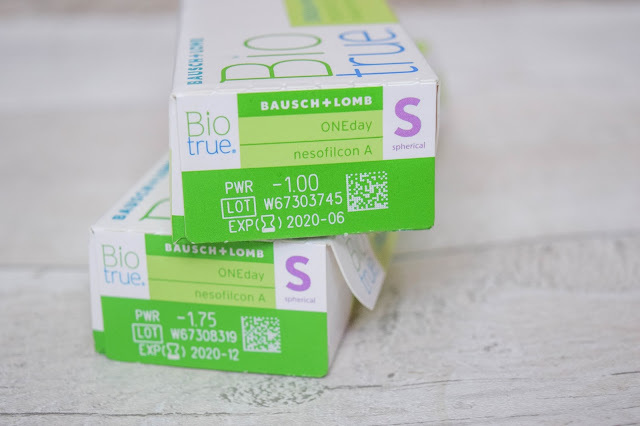 I would pick these daily lenses over the ones I reviewed a couple of months ago simply because they live up to their claims. Wearing these haven't dehydrated my eyes at all, even when I've worn them a couple of hours over the recommended hourly wear. They're so comfortable that you could easily forget you're wearing them. I have a couple of times and accidentally had a nap in them and almost gone in the shower with them still in. I really like these and I'm sad that I only have about 5 pairs left! Genuinely, I would. I've really enjoyed wearing these on a daily basis and loved their comfort and hydration. I would recommend if you're looking for your first pair, these would be a great range to start with. You can get these at lentiamo.co.uk for £16.90 per box.